The Times Higher Education’s 2019 World Reputation Rankings released their latest results this week ranking institutions that are best in the the world for 4 subjects: social sciences, business and economics, education and law. The University of Warwick is one of just 7 UK universities to be listed in the top 100 in all four Social Sciences subject groups and scored particularly highly for economics, placing it 33rd in the world. You can find out more by reading the University's PR release here. The Department is pleased to announce the launch of an internship scheme - WISE (Warwick Internship Scheme for Economists). We are looking for staff to think about proposing research-based, teaching-based or administrative-based topic which you are looking for assistance from students. This scheme is available for all staff from within the Department to propose projects and these projects will be funded out of the Department budget which has been set aside. The scheme aims to provide opportunities for our UG and PG students to further enhance their employability skills by engaging in these projects identified in the Department. We hope to be able to advertise projects to the students this term, although the work can be scheduled for this term or term 2 or over the vacation periods. To request project support, please submit your project proposal by 31 October 2018 via an online form. On 20 October, we welcomed prospective students with their parents at our Economics talks and Drop-in sessions at the Open Day. A number of talks were delivered that focused on Why Study Economics? (Andrew Oswald), Economics Programmes, Admissions and Student Experience (Tom Martin) and Careers & Skills in Economics (Stephanie Redding) and ended with a question and answer session. Prospective students and their parents also had a chance to talk to current Economics students and find out about social and internship opportunities offered by three student societies: Economics Society and Economics Summit. A huge thank you to all the members of staff who participated and assissted at the Open Day. These events are a value conversion opportunity to promote the academic excellence of the Department and its reputation as one of the top Economic Departments in the UK. Welcome to all new academic staff, and welcome back to everyone else! To find out about Library resources and support for your teaching and research, please visit the Library home page and explore the information for Staff especially. Please contact me any time to if you would like us to add new Economics books to stock in the Library, or to discuss possible new journal or database subscriptions. It is easier to buy new books than to obtain subscriptions, but sometimes we succeed – I will send more information in the next newsletter. You are welcome to come to the Wolfson Research Exchange to find out about research support events or meet other researchers. You might also like to try out new teaching techniques in The Teaching Grid, also in the Library. Above all, use your Library Account to keep track of your book borrowing and avoid any possibility of Library fines! Please contact me any time if you have questions about Library services and I will do my best to help you. I hope the new academic year will go well for everyone. When familiarising yourself with Tabula profiles, please check the details of students’ name and title, which appear next to their picture. Some students choose non-binary titles, such as Mx and not Miss, these students often also use non-binary pronouns, such as “they”. If the “official name” and the “preferred name” stated are different, the preferred name should be used. The University is working hard to welcome staff and students of all gender identities, let’s play our part in supporting initiatives to encourage inclusion for all. In the Autumn Term, Staff Buffet Lunch will take place on a Thursday in weeks 1, 2, 4, 6, 8 and 10. Room S2.79, 12.30pm-1.30pm. PhD and MRes Students will be invited to join in Weeks 2 & 10. Fernanda Brollo's paper 'The Political Economy of Program Enforcement: Evidence from Brazil' has been accepted for publication in the Journal of European Economic Association. This is joint work with K. Kaufmann and E. La Ferrara. Arun Advani lead a workshop on "#WhatEconomistsReallyDo" (at invitation of EEA President) at European Economic Association in Cologne on 31 August. Arun Advani presented "The Dynamic Effects of Tax Audits" at the Centre for Business Taxation, Said Business School, Oxford on 17 October. The first on "The Economics of Environmental Taxation" for government officials from Guangzhou on 04 September. The second on "The long term effects of tax audits: UK experience" for tax officials from West Bengal, Mizoram, Sikkim and Assam on 28 September. Andy Ferrara presented his paper "Fatherless: The Long-Term Effects of Losing a Father in the U.S. Civil War" (with Yannick Dupraz) at Nuffield College, Oxford University, on 10 October. Federico Trombetta presented his paper "The Price of Silence. Media Competition, Capture and Political Accountability" at the 16th Workshop in Media Economics in Lecce, Italy. Jonathan Cave has been reappointed to a further term as Economist Member of the Regulatory Policy Committee and appointed to the Advisory Board of the Cyber Civilisation Research Centre in Keio, Japan and will be delivering a public keynote address at the Centre’s annual conference. Jonathan Cave also participated in a panel on incentives and market design for cybersecurity at the Research Institute for the Science of Cybersecurity Community Meeting in London on 16 October. Finally, Jonathan Cave will be participating in the Chancellor’s Autumn Statement Luncheon with local business leaders and government officials on 29 October. 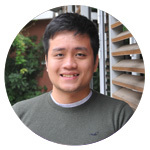 Cahn Dang is in the spotlight for this week's new starter interview - find out more about him. The University will be opening its brand new Sports and Wellbeing Hub in Spring 2019. You can view a short fly through video of the sports facilities that will be available once its opened. A two day festival that celebrates and develops the exciting work of Warwick Alumni and current student theatre companies. There will be performances and workshops as well panel guests including the Coventry City of Culture Creative Director, Chenine Bhathena.